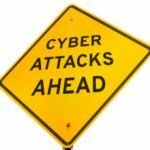 Why take the Cybersecurity Career Track Course? Have the skills to get hired for Software/Application Security Analyst roles. You will also get optional bonus prep materials to help you pass the CEH or CISSP certifications so you stand out when applying for software/application security analyst roles. Career transitions are hard, but we’ll support you every step of the way – until you are hired. Network with peers. As with any career, one of the main ways to get ahead is through networking. This course will give you the chance to meet others who are entering a career in cybersecurity. These connections may prove to be helpful later on in your career! Hi! My name is Janet Matta! I am the Lead Career Coach at Springboard. I’m here to help you succeed! Why work wit ha career coach or mentor? 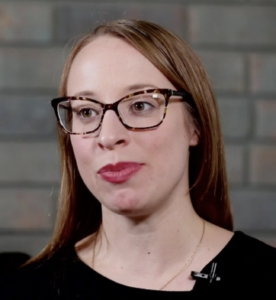 Hear from my real life cybersecurity experience! Not sure if this course is right for you? Read our FAQs below to help clear up any uncertainty. The course is self-paced and takes about 200 hours to complete all 12 units. It usually takes 6 months at around 10-15 hours per week. The course is normally 15% more expensive, but purchasing this course via Infosec-Careers.com gives you access to a 15% Discount. Is the course online or in person? All 12 units are instructed 100% online. The course is designed for people who already have a degree in an IT or technical subject or experience in IT security. How do I use ISCN’s Coupon Code to receive the Reduced Rate? To receive the Reduced Rate you need to enter ISCN’s Discount Code “ISCN15OFFCS1” when purchasing the course. Please note that the sign up process takes about 10-15 minutes, as there is a screening process to ensure the course is a good fit for you. You can now save 20% on OCEG approved GRCP online training using this GRCP coupon code. In case you’re not already aware, the GRC (Governance, Risk Management & Compliance) Professional Certification by OCEG has been listed by CIO Magazine, Certification Magazine and Global Knowledge as a top GRC certification. 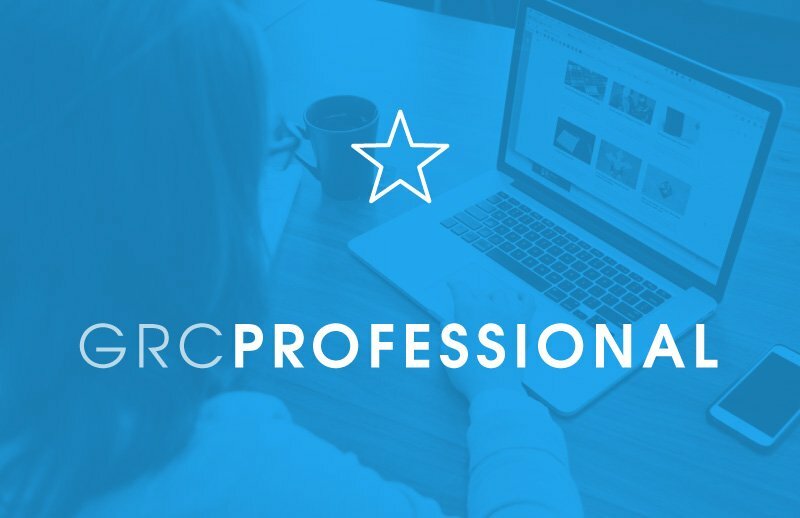 cRisk Academy now provides an online, on-demand training course to significantly increase your odds of passing the GRCP exam the first time. OCEG is a nonprofit think tank that is dedicated to achieving a world where every organization and every person strives to achieve objectives, address uncertainty and act with integrity. The GRCP certification gives assurance that you, as a GRC Professional, have core knowledge, skills and understanding of managing and advising on risk, internal controls, key compliance matters and functions compliance, and how these must be integrated for effective and appropriate governance. – Prove that you know how to communicate across disciplines using a common and unambiguous language. – Demonstrate understanding of the 4 components and 20 elements that comprise the GRC Capability model. – Discuss how GRC incorporates the governance, management and audit of strategy, performance, risk and compliance. cRisk Academy’s course is on-demand and self-paced, meaning that you can register now and take the training on your own schedule. This course provides sample questions & answers and other content, not available anywhere else. There’s also a 30-day money back guarantee, so you can buy with confidence knowing that if you’re not completely happy with the course material you can get a full refund. Are you affected by KRACK and ROCA, and how can you manage this? Monday October 16th, 2017 is already being referred to as “Black Monday” in information security circles. In case you haven’t already heard the news, two separate major security vulnerabilities – KRACK and ROCA – were announced that affect everyone globally who uses WiFi or public key encryption respectively. The KRACK (Key Reinstallation Attacks) vulnerability allows attackers to decrypt connections that are encoded using the WPA2 protocol. This is bad news, as most WiFi devices uses this form of encryption. In fact, around 60% of all WiFi networks in the world are secured using WPA2 according to Wigle.net (https://wigle.net/stats#). Researchers at KU Leuven (University of Leuven) in Belgium have found that the issue stems from a inherent weakness in the cryptographic standard itself, rather than being caused by indvidual devices or coding errors. Once bypassed, hackers can intercept sensitive data such as passwords, credit card details, online banking or other login information. They could aso theoretically inject malware, ransomeware, or other malicious code into the WiFi network. Basically any device that uses WiFi can be assumed to be vulnerable. This includes the routers themselves, as well as anything connected to WiFi networks – routers, PCs, laptops, tablets, phones, IoT devices, etc. Manufacturers and products that may be impacted include Apple, Android, Linksys, Netgear, Linux, Nest, Cisco, Amazon, and more. How can I manage or resolve the issue? Firstly, check for updates from the manufacturers of all devices on your network. Keep an eye on their websites for news on when patches will be available, and install them as soon as possible. ZDNet and BleepingComputer both have lists of the patches that are currently available and on the way. In the meantime it is advisable to avoid using public WiFi, or WiFi hotspots that are in or around crowded areas until you are sure that all elements have been secured. Potentially impacting billions of devices, the ROCA (Return of Coppersmith’s Attack) vulnerability was discovered by security researchers at Masaryk University in the Czech Republic. 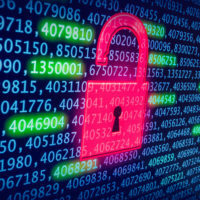 They found a severe flaw in the RSA cryptographic library used in a wide range of cryptographic chips produced by German semiconductor manufacturer Infineon Technologies. The encryption vulnerability affects the RSA key pair generation by Infineon’s Trusted Platform Module (TPM). It effectively means that a remote attacker could use the value of an RSA public key to compute the associated private key. This could then be used to decrypt sensitive data, or even to impersonate the owner of the private key. 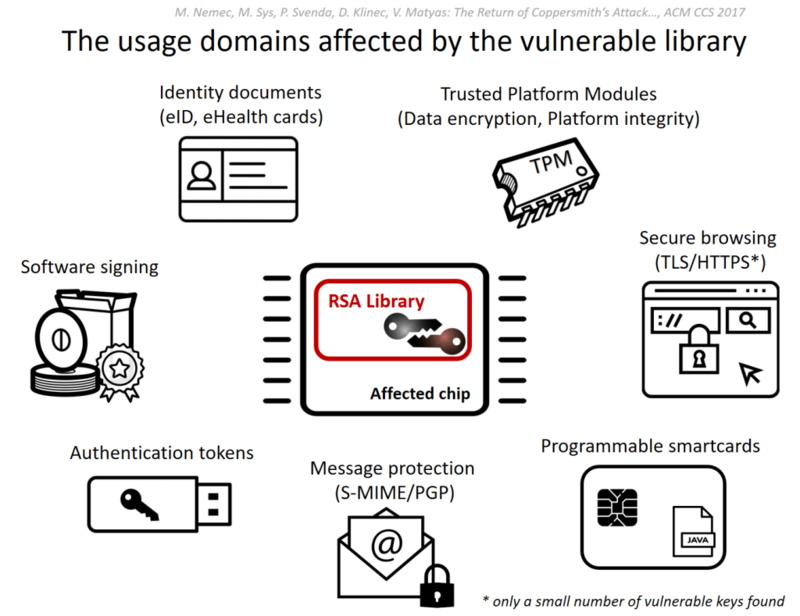 The RSA library and chips in question are widely used, and are integrated into encryption tokens and products made by other vendors. They are used in authentication, encryption, signatures, message protection, and also for secure browsing using TLS/HTTPS. You should therefore assume that you are probably are impacted, and carry out investigations accordingly. Some of the major vendors including Microsoft, Goole, Lenovo, HP, and Fujitsu have already released software updates and guidelines to help mitigate the issue. You can also use the tools created by the researchers to find out if you are using any chips with the vulnerable RSA library (see below). Here’s the full post and list of tools from the researchers. Or view a full list of Information Security Online Courses and Discount Codes HERE. Save $500 on Cybervista’s CompTIA Security+ online course! Use our CompTIA Security+ Discount Code ISCN500 when you get to the check out page to receive a $500 discount! If you’re planning on embarking on your cyber security career, a great place to start is the Security+ certification from CompTIA. The CompTIA Security+ certification is widely seen as one of the best introductory qualifications and a great way into the cybersecurity sector. The Security+ certification is a useful and popular stepping stone along your way to a successful career in IT security. CyberVista is a CompTIA approved partner, and their comprehensive training course is designed exclusively for the latest CompTIA Security+ exam (SY0-501), officially launched on October 25th, 2017. CyberVista’s Security+ training package gives you an unrivaled number of practice questions – over 1,000 of them! This is more than any other security+ program anywhere else. Also, to help you identify and improve on your strengths and weaknesses, they make sure that you begin your study exercise with series of diagnostic tests. This is to enable you to concentrate on your learning process. You will also be provided with a comprehensive lesson book to enable you to follow instructors’ lectures step by step in addition to a weekly live lecture. The motive behind the provision of all the tools mentioned above is to help you have a hassle free preparation and excellent performance in the test and exams. How does the CompTIA Security+ discount code work? What can I do with the CompTIA Security+ certification? The Security+ certification covers many core areas of information security. There are currently over 100,000 job listings that are available to Security+ certified professionals. Typical job titles include ‘Security Analyst’, ‘Security Team Lead’, ‘Incident Responder’, etc. What can I expect in the Security+ exam? The Security+ certification covers several key areas, including network security, operation security, compliance, threats & vulnerabilities, application security, and data and host security. Also included are access control, identity management, and cryptography. Recommended Experience: There are no prerequisites for taking the Security+. However, CompTIA suggest that obtaining the Network+ certification and having two years of experience in IT administration with a security focus would be beneficial. The Security+ certification is usually valid for a period of 3 years. However, there are two methods of keeping your certification valid. You can either retake the latest version of the exam every three years, or you can complete 50 CEUs (Continuing Education Units) through various activities. More information is available upon passing the exam. How long is the Security+ online course? CyberVista’s Security+ program is an 8 week Live Online program. It’s CompTIA authorized and will prepare you for the new test launching in October 2017. The program includes 7 live online sessions plus 1 independent session. The program starts with a diagnostic to guide your learning and includes 60+ on-demand short videos that comprehensively cover each exam objective. The program includes more than 1,000 practice questions including a full length practice test. Included also are summary notes, summary videos, and 350 e-flashcards to ensure readiness for test day. All instructors are Security+ certified professionals, and have been trained specifically by CyberVista to deliver the course in the most effective manner. Light board technology is used during the live training sessions. An illuminated glass pane sits between the instructor and the camera, allowing the instructor to illustrate important cybersecurity concepts while remaining face-to-face with you, the students. Powerpoint is also used, but not only when required. What is the readiness guarantee / What happens if I don’t pass the exam? 1. After completing your course, simply send an email to registration@cybervista.net if you are not ready to take the exam, or if you have taken the exam and have not passed. CyberVista will register you for the next available course (one-time) at no charge to you. 2. In order to qualify, you must contact CyberVista within 3 months of the end of your original course and you must select a start date within 12 months of your original purchase date. When will I receive access to the Learning Management System (LMS) once I register? Once your place is confirmed, you will be sent your login credentials for the Learning Management System and your initial practice diagnostic exam the week before your scheduled start date. Yes, but it depends on your experience level and comfort with the material. The course is designed to help make the learning manageable by spreading everything over 8 weeks and using learning science techniques (including the diagnostic exam) to focus on your targeted areas of improvement. Live Online Security+ courses start in October 2017 and are generally offered twice a month. You can click on the ‘Get Started’ buttons to review the currently scheduled start dates. – Cancellation before any session, 100% fees are refunded (less shipping & handling fee). – Cancellation before two sessions, 75% fees are refunded (less shipping & handling fee). – Cancellation before three sessions, 50% fees are refunded (less shipping & handling fee). – Cancellation after third session, there will be no refund. 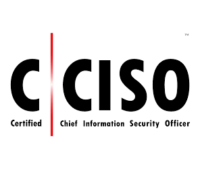 The CCISO Certification from EC-Council is an industry-leading CISO training program that recognizes the variety and depth of real-world experience that is required to succeed at Executive level in information security. Using the CCISO coupon code allows you to obtain this qualification with a reduced rate. ‘Salary Survey 2015: An All-New Salary Survey 75’. The Body of Knowledge for the EC-Council C|CISO course was written by seasoned CISOs. The course will take you through all five the CCISO Domains (more information below) in depth, and is perfect for current and aspiring CISOs. If I use the CCISO Coupon Code, how much will I save? Due to the current terms of our partnership with EC-Council, we aren’t allowed to specify the % discount, but you will find out when you enter the code at the checkout. 5 years of IS management experience in 3 of the 5 CCISO Domains. Check to see if you meet the exam eligibility application. Course Length: 5 Days if you choose the live, online instructor-led option. Alternatively choose to learn at your own pace using EC-Council’s iLearn Self-Paced Online Security Management Training. If you’re looking to get ahead in 2017, getting certified is one of the best ways to do it. However, there are a lot of security certifications out there, so where should you start? We’ve taken a look at some of the best security certifications that can help to boost your career. Choosing the right security certification for you depends on a number of factors, mostly relating the area or specialism within cyber security that you want to work in. Some qualifications are great if you want to move into general security consulting, or security management, and there are also more specific certificates if you want to move into ethical hacking, network security, PCI or policy auditing, etc. 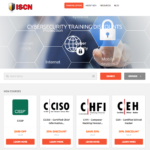 If you’re interested in studying toward any of the certifications below, you can view all of the latest discounts and deals on security training courses on our homepage, as we have a number of special offers available from our different training partners. There are also links to our exclusive training discounts for some of the certifications listed below. 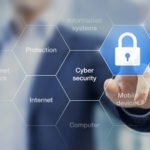 Whether you are getting started in cyber security, or looking to advance your career, here are 11 certifications that will provide you with the right credentials to kick-start a successful IT security career in 2017 and beyond. The CISSP is an advanced-level certification from ISC2 and is considered by many to be the gold standard in information security qualifications. It consistently tops lists of the best security certifications due to the wide-ranging nature of the course material. To become fully CISSP qualified, you must sit an exam which consists of 250 questions and takes an average of 6 hours to complete, and have at least 5 years of relevant experience. On top of that, you need to keep your knowledge up to date by obtaining CPE learning credits by attending related events. The CISSP qualification is specifically designed for professionals with a minimum of 3 to 5 years of experience in the industry (you can be a CISSP associate while you build up your experience if you pass the exam). The exam covers all of the main cyber security domains, such as access control, security management practices, security models and architecture, cryptography, telecommunications and networking. If you want to become a Chief Information Security Officer (CISO), CISSP is a must. In addition, you will also be qualified to handle other job titles, such as Systems Engineer, Analyst, Consultant and Manager. The average annual salary for CISSP holders is $121,000 but it may vary depending on the job role, experience and location. 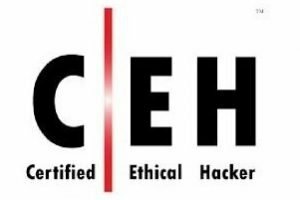 The CEH from EC-Council is a must for IT professionals pursuing a career in ethical hacking. Holders of the CEH certificate possess the skills, knowledge and hacking techniques required to beat their malicious counterparts in various areas, such as scanning networks, foot-printing and reconnaissance, system hacking, enumeration, worms & viruses, denial-of-service attacks, Trojans, social engineering, hacking web servers, session hijacking, web applications, cryptography, wireless networks, firewalls, penetration testing, honeypots and IDS/IPS. The CEH exam lasts 4 hours and contains around 125 multiple choice questions. In order to be eligible for the CEH exam, you need to have at least 2 years work experience. The average annual salary of Certified Ethical Hackers is approximately $103,000. The CCISO certification program from EC-Council is the first-of-its-kind training program aimed at producing top-level IT security executives. The focus of the CCISO is not solely on technical knowledge but on the application of information security management principles. Current, as well as aspiring CISOs can hugely benefit from this certification program. To be eligible for the CCISO exam, individuals need to have 5 years of IS management experience in any 3 of the 5 CCISO domains. 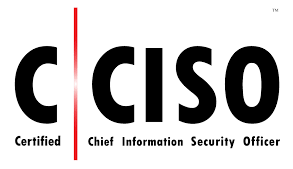 CISM is a certification program focused on information security management and is a big plus point for those looking for a lucrative InfoSec management or consultant jobs. It is one of the top credentials for IT professionals responsible for developing the best organisational security practices. Those involved in managing, developing and overseeing information security systems in enterprise-level applications can also benefit from this program. Holders of the CISM credential possess advanced skills and knowledge in program development and management, security risk management, incident management, governance and response. To be eligible for this certification program, you need to have 5 years of verifiable experience. 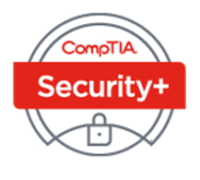 CompTIA Security+ almost always appears in lists of the best security certifications as it is a vendor-neutral security certification and a globally-recognized benchmark for the best practices in IT security. This certification program covers all the essentials of security systems, network security and risk management, identity management, cryptography and organisational systems. If you want to have a successful career in IT security, this certification is a great place to start. Even though Security+ is an entry-level certification, candidates should possess a minimum of 2 years’ experience in network security. To really boost your IT security career, it would be beneficial to first obtain the CompTIA Network+ certification, followed by the Security+ certificate. Security+ credential holders can look forward to landing a job with an average annual salary of $94,000. >> Save $500 on CompTIA approved training from CyberVista – find out more! 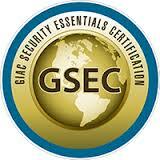 If you are interested in demonstrating your skills in securing IT systems, you can enroll for the GSEC exam. This certification exam is offered by GIAC (Global Information Assurance Certification). GIAC is a body which is recognized globally for its state-of-the-art cyber security certifications. GSEC is an entry-level certification offering hands-on security experience beyond terminology and knowledge, and is another good all-round certification that a lot of employers look for. GSEC credential holders possess technical skills and knowledge in areas such as password management, identification and prevention of common and wireless attacks, DNS, authentication, IPv6, Linux, cryptography fundamentals, network mapping, ICMP and network protocols. This certification has to be renewed every 4 years. You can expect an average annual salary of $77,000. If you want to develop a better understanding of how IT risks are related to the overall functioning and working of an organisation, then the CRISC certification program is one of the best security certifications. This program will help you in developing the technical skills required to understand and manage the corporate risks and implement the right controls to prevent a security breach. The CRISC certificate is often a necessity for c-suite executives, as well as risk & privacy officers and chief compliance officers. To apply for this certification program, you need a minimum experience of 3 years. 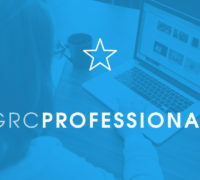 The average annual salary for top-tier CRISC credential holders is $122,954. 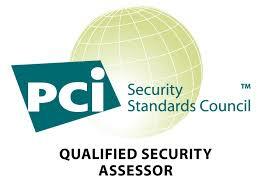 If you are an InfoSec professional and currently handling the responsibilities of a compliance officer or are a part of the internal audit team, or if you tackle business operations and security infrastructure relating to payment card details, PCI-QSA is definitely one of the best security certifications you can have. To be eligible for the PCI-DSS QSA certification, you need to have sound IT security knowledge and a strong IT and Networking background. The certification program aims to provide applicants with a general understanding of the working of the credit card industry and in-depth knowledge of security and IT applications, databases or servers and network configurations. Expertise in PCI gives individuals an edge to pursue multiple job roles within their organisation. PCI-QSA certificate holders along with PA-QSA (Payment Application Qualified Security Assessors) are often in demand on either a permanent or contract basis as companies are increasingly looking for candidates with a broader range of expertise and specialized talent. The GSE certification from GIAC can be considered one of the best security certifications – it is certainly one of the most advanced and respected. It’s at a much higher level than the more common GSEC information security certificate by GIAC, and is aimed at those seeking in-depth knowledge in all areas of information security. Being GSE certified demonstrates that the holder is not only fully proficient and competent in a wide variety of skills required for top-level Infosec jobs, but has actually mastered them and is at the top of their game – joining the elite practitioners in their field. The baseline requirements for the GSE certification are that you must already have passed a combination of some of the other GIAC certifications (GSEC, GCIH, GCIA, GCWN, GCUX, GCIH) or other higher level certifications, along with previous experience in the subject areas. The GSE exam tests the ability of applicants in general security, incident handling and intrusion detection and analysis, and has 2 parts: a 3-hour multiple choice exam and a 2-day hands-on lab. The certification must be renewed every 4 years by taking the latest version of the multiple choice exam (unlike other certs, CPEs cannot be used to renew the qualification). SSCP from ISC2 is a first-rate entry-level IT security certification and is the perfect precursor to the much favored CISSP certification. If you are hoping to land a job as a Network Security Engineer, Security Analyst, Database Administrator, Security Administrator, Systems Engineer, Security Consultant or Network/Systems Analyst, SSCP certification is one of the best security certifications to start with. The SSCP exam lasts 3 hours and includes 125 multiple choice questions. What are your thoughts on the list above? Do you agree with us that these are the best security certifications, or are there any others that you think should also be included? Add your comments below. ISCN BLOG: Which are the Preferred Operating Systems of Professional Hackers? # Who are the real hackers? The term ‘real hackers’ does not refer to white hat hackers and security researchers. Instead, it relates to cybercriminals and hacktivists. They are also called gray hat or black hat hackers since they work against media enterprises, the government and companies as a form of protest or solely for their profit. Since these hackers illegally infiltrate into computer networks and systems, they use operating systems with high technology so that they can avoid being detected or mapped out. Also, the operating system should provide them with the latest hacking tools and features. # Which OS’s are used by black hat & gray hat hackers? Search online and you can find numerous blog posts claiming that ‘real hackers’ prefer to use Linux OS for carrying out their black hat hacking operations. But it has actually been proven otherwise. The reports of high-risk hacking show that some hackers use MS Windows to hide in plain sight. Windows, a target for many hackers, requires them to work with Windows-only environments, including Windows-based malware, .NET framework, Trojans or viruses. Hackers use cheap burner laptops purchased from Craigslist to build a lightweight bootable ghost image, which cannot be mapped back to them. These laptops have special SD card and USB options that are easy to destroy, hide or even swallow, if required. Many hackers go the extra mile and create second writable space for limited persistent local storage and read-only partitions for the operating system. There are still others, the paranoid types, who further add a hotkey panic button for quick scrubbing of the RAM and running a sysRq-trigger to prevent any kind of tracing. The bootable OS ghost image, which is smaller, is written out to an encoded SD card. After this, the burner laptop is disassembled and meticulously destroyed. Special attention is paid by the hackers towards the physical destruction of the RAM, hard drive and network card. A sledgehammer or blowtorch is also sometimes used for the destruction of such computers. Based on Linux, Live Hacking OS is a pack of useful hacking tools used in penetration testing or ethical hacking. It consists of the GNOME inbuilt, which is a graphical user interface. A second variation is available, which only has command line. It requires less hardware and is easy to operate. This is a bootable live CD based on Fedora Core. It provides the best open source computer security and networking tools and runs on most of the x86 platforms. This toolkit was designed with the main intent of providing a comprehensive set of open source network security tools to network security administrators. It is used for regular networking diagnostic, monitoring and security responsibilities. DEFT stands for Digital Evidence and Forensic Toolkit and is based on the Ubuntu operating system. It is a collection of computer forensic documents and programs created by thousands of companies, individuals and teams, each of which may come under a different license. The process to be followed in determining which software will be shipped and installed on the DEFT CD by default is outlined by the License Policy. 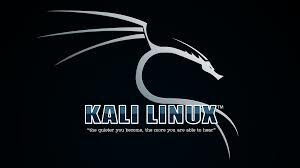 Designed for penetration testing and digital forensics, Kali Linux is a Debian-based Linux distro. It is one of the most advanced and versatile penetration testing distros. Devon Kearns and Mati Aharoni of Offensive Security Ltd. developed it by rewriting BackTrack. Kali is funded and maintained by Offensive Security. Its tools are frequently updated and it is available for different platforms, such as ARM and VMware. On 24th January 2004, version 0.1 of Knoppix STD was published on Knoppix 3.2, after which, due to the lack of updated packages and drivers, the project was brought to a halt. The release date for version 0.2 has not yet been announced. On the official website, a list of tools is available. A lot of hackers are of the opinion that Cyborg Hawk, a new operating system based on Ubuntu Linux, is the most powerful and cutting-edge penetration testing distribution that has ever been created. It is lined up with the most quintessential collection of tools for cyber-security experts and professional ethical hackers. While Kali has more than 300 tools, Cyborg Hawk has 700+, along with dedicated tools and menu for analysis of malware and mobile security. It is considered to be a better OS than Kali. The Samurai Web Testing Framework, a live Linux environment, has been pre-configured to operate a web pen-testing environment. The CD comprises of the best of the free tools and open source that pay attention to testing and attacking websites. In developing this environment, the selection of tools has been based on the tools used for security practice. It includes the tools used in all four stages of a web pen-test. Pentoo, a Live USB and Live CD based on Gentoo Linux, is created for security assessment and penetration testing. It is provided as a 32, as well as a 64-bit, installable Live CD. Also, it is available for an existing Gentoo installation as an overlay. Pentoo features GPGPU cracking software, packet injection patched Wi-Fi drivers and a number of tools for security assessment & penetration testing. GRsecurity and PAX hardening is included in the Pentoo kernel, along with extra patches with binaries that are compiled from a hardened toolchain. The most recent nightly versions of some of the tools are also available. A Linux distribution by nature, Blackbuntu was developed for penetration testing. It was designed especially for practitioners of information security and security training students. The testing is based on GNOME Desktop Environment. On BackTrack situation, it is used in Ubuntu 10.10. GnackTrack is an open and free project combining Linux GNOME desktop and penetration testing tools. It is based on Ubuntu and is a Live (and installable) Linux distro created for penetration testing. It comes with multiple tools, such as W3AF, Metasploit and Armitage, helpful for effective penetration testing. An experienced team of testers and developers have put together this distro. It is based on Linux kernel and obtained from Ubuntu. Historically, penetration testing distributions have utilized the concept of the Live system of Linux, which means that they try not to make any permanent effects to a system. Therefore, all changes disappear after reboot and run from media, such as USB drives and discs. However, its usefulness depletes when used for testing regularly. Additionally, it is believed that Live Systems do not scale well in a robust testing environment. As a Debian GNU/Linux-based operating system in combination with Kali Linux and Frozenbox OS, it provides the best-in-breed penetration and testing experience. Developed by the Frozenbox Dev Team, it is an operating system for penetration testing and IT security. Now, it is clear that most black hat hackers prefer using Linux but also have to use Windows, as their targets are mostly on Windows-run environments. With most financial firms moving to Linux-based servers, the scenario is gradually changing. In addition, Mac OS X is not a very popular target for hacking attempts and malware. This is because it is not as famous a server as Linux, nor as widely used a client as Windows. Therefore, people using this OS are given a false sense of security. Do you agree with the thoughts above? Feel free to post comments below. Save $500 on Cybervista’s (ISC)2 approved CISSP online course! Use our CISSP Discount code ISCN500 when you get to the check out page to receive a $500 discount! The CISSP (Certified Information Systems Security Professional) is seen by many as the gold standard in information security certifications. CyberVista’s 12-week CISSP online course is fully (ISC)2 approved, and is aimed at anyone who wants to study the 8 domains in the CISSP course material and prepare for the exam in a convenient, part time fashion. 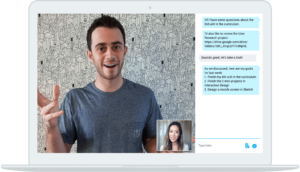 Through a combination of live online training, on-demand videos, innovative delivery of content using light board technology (see FAQs for more details), and strategies to help you when you get to the day of the exam. When you purchase the course, you will also get access to over 2,000 practice questions, and a diagnostic test to create a study plan that is completely personalized to help you learn in the most efficient way. You can learn in confidence, knowing that the course is led by (ISC)2 authorized instructors who are also CISSP accredited themselves, with over 10 years’ experience on average. How does the CISSP discount code work? 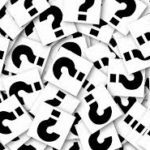 What can I expect in the CISSP exam? The CISSP contains 250 multiple-choice questions that you must complete within a six hour time limit. How will the course help me prepare for the CISSP exam? CyberVista’s course provides you with a helpful warm up process, which includes an diagnostic exam (100 questions) that creates a personalized learning plan. You can continue to use the bank of more than 2,000 practice questions while you study, before you then take the ‘midterm’ exam (another 100 questions). By this point you should be getting into the swing of things, and the final exam in the course contains 250 questions. How is the CISSP exam scored, and what do I need to pass? How long is the CISSP online course? The course is 12 weeks long in total. 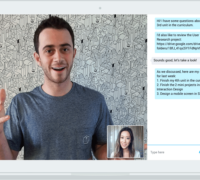 You will be asked to attend one live online session per week – these take place in the evenings (US) and last approximately 3 hours per session. CyberVista’s instructers are CISSP certified and (ISC)² authorized, with over 10 years of experience on average. Along with cybersecurity practitioners, they deliver more than 70 hours of live and on-demand training videos over the 12 week course. 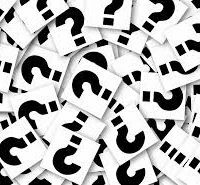 What start dates are available & how frequently does the course run? When you register for the online CISSP training course, you will be able to access practice questions in both the course pack and the online learning management system. With over 2,000 questions, it’s the largest practice question resource bank in the industry! What is the diagnostic exam, and how does it work? The diagnostic exam is a 100 question online, multiple-choice practice test that will help you to uncover what you already know and where you should focus your efforts in order to perform well on the 8 domains of the CISSP exam. The results of your diagnostic exam are then used to create your very own personalized and efficient study plan for the duration of the course. In addition to the questions of the exam, a short survey is also included to learn more about you and how you study. You will take this diagnostic in the week prior to your first live online class. You can access the diagnostic exam as soon as your instructor has delivered your credentials to access the learning management system (LMS). Yes. It takes roughly 300 hours to fully prepare for the CISSP exam depending on your experience level. The CyberVista online CISSP course makes the learning manageable by spreading the course over 12 weeks and using learning science techniques (including the diagnostic exam) to focus on targeted areas of improvement. Full payment is required at the time of purchase unless there has been another agreed upon arrangement between the student and CyberVista. In some circumstances CyberVista can work with students to provide an installment plan. For more information, you can send an email to info@cybervista.net. Yes. In some cases, CyberVista can work with students to provide a payment plan as an installment plan that divides the cost of the course into three equal payments over a 60 day period. For more information, please send an email to info@cybervista.net. This is in addition to the $500 discount you can receive by using ISCN’s CISSP discount code (‘ISCN500’). 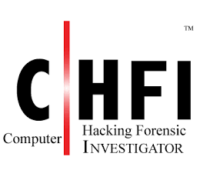 If I use the CHFI Coupon Code, how much will I save? Recognition by National Security Agency (NSA) and the Committee on National Security Systems (CNSS) Standard based required training for network security professionals. Extend the target of information security to the wider threat from cybercrime, such as intellectual property protection, fraud, or extortion. Improve and make the interface to law enforcement easier. SAVE ON CEH ONLINE TRAINING FROM EC-COUNCIL – NOW COVERING VERSON 10! 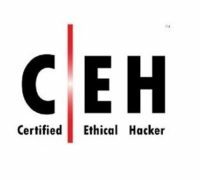 The CEH – Certified Ethical Hacker – from EC-Council is the world’s most advanced and in demand ethical hacking and penetration testing course. 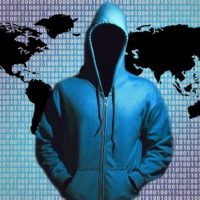 Version 10 of the CEH online training course covers 20 of the most up to date and important security domains you will need to consider as an ethical hacker when you are looking to test how well your organization is prepared for attacks, and to improve information security policies through identifying potential weaknesses. Taking you through 18 modules, the course comprehensively covers over 270 attack methods and technologies commonly used by cyber criminals and hackers. If I use the CEH Coupon Code, how much will I save? You’ll get access to over 140 labs, which have been specially designed by EC-Council’s security experts to mimic real time scenarios. You’ll see what it’s like to experience an attack, as if it were real! In addition to this you’ll be provided with access to more than 2200 hacking tools that are commonly used by the ethical hacker community, to help you on your way to being fully immersed in the ethical hacker world. What does the new version (version 10) include? Additional focus on hacking mobile phones via footprinting, scanning, enumeration, system hacking, sniffing, DDoS attack, etc. You can choose either a Live, Online, Instructor-led course, or if you prefer to do things at your own pace you can choose the self-paced online course using EC-Council’s iLearn option. The main aim of the Certified Ethical Hacker online training course is to help you master an ethical hacking methodology that can be used in a penetration testing or ethical hacking situation. The course will prepare you for the EC-Council Certified Ethical Hacker exam. The aim is that at the day you’ll walk out the door with highly in demand ethical hacking skills that employers are crying out for, along with the globally recognized and highly respected Certified Ethical Hacker certification!